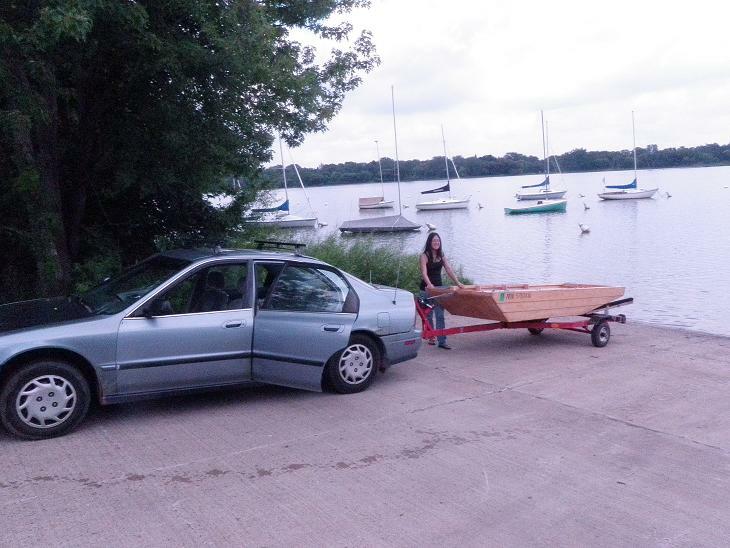 Finally got the Shoebox out on the water! 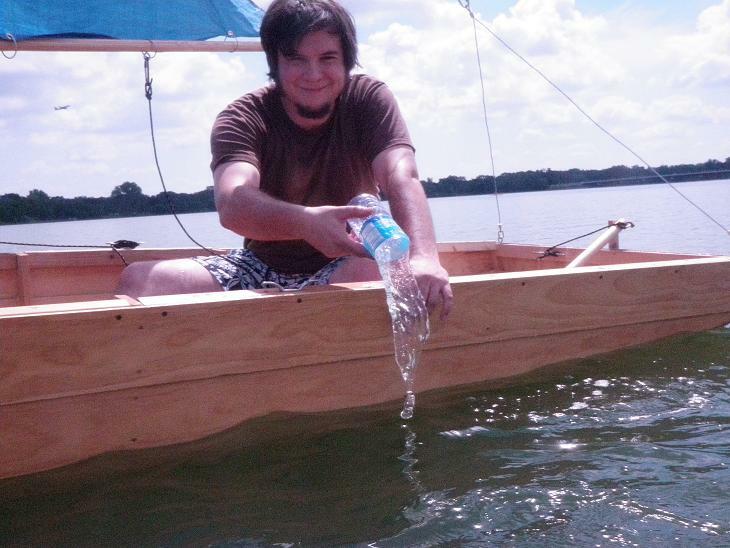 Also got a lot of water in the boat, as the fiberglass turned out to not be very waterproof! Fortunately we had some swim goggles and half a water bottle to bail with. 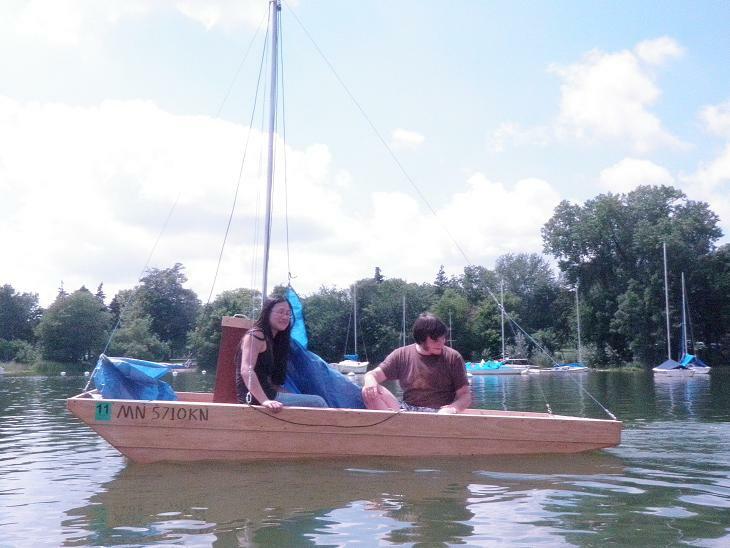 We also had Alex from Milwaukee to take photos and run rings around us in his inflatable raft. I think I should have made the mast a bit taller, the sail plan seems stubby now. The guy who started the hull intended it to use a Sea Snark sail, which is probably similar in overall area. This entry was posted on Monday, August 2nd, 2010 at 8:01 pm and is filed under Uncategorized. You can follow any responses to this entry through the RSS 2.0 feed. You can leave a response, or trackback from your own site. 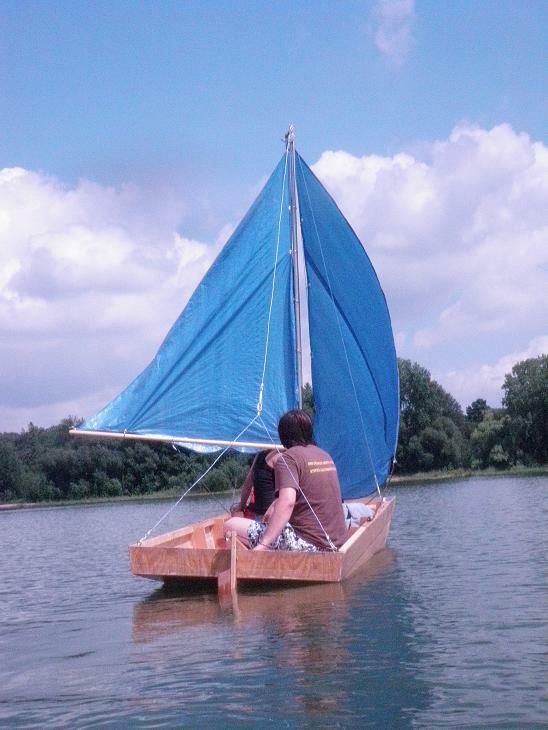 I’m thinking of building another boat. I’m having a hard time deciding what, though. 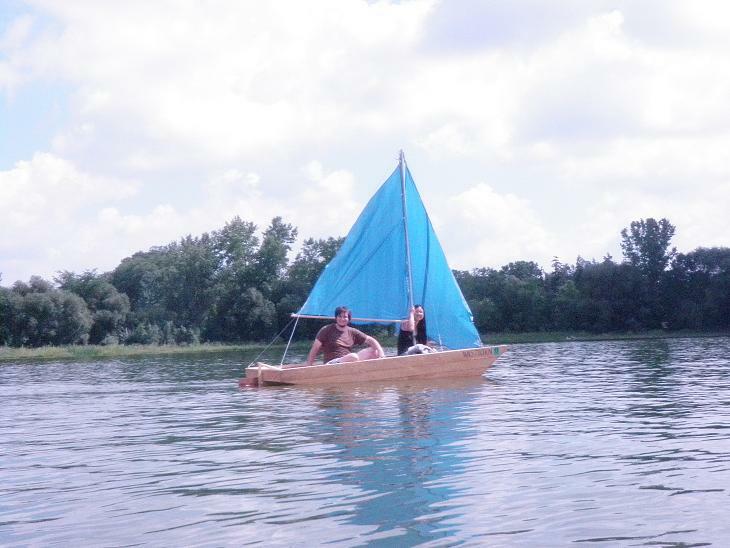 I’d like to have a catamaran party boat, but would likely not have it done in time to use this summer. Maybe a project to start in the winter. Maybe rig it for a kite sail. I really want to build a small single seat electric ekranoplan, but that’s a project and a half. Suddenly floating the right side up is the easiest of the requirements.